Less than 10 feet above the ground. Forbs and dried grasses with lining of rootlets and mammal hair. 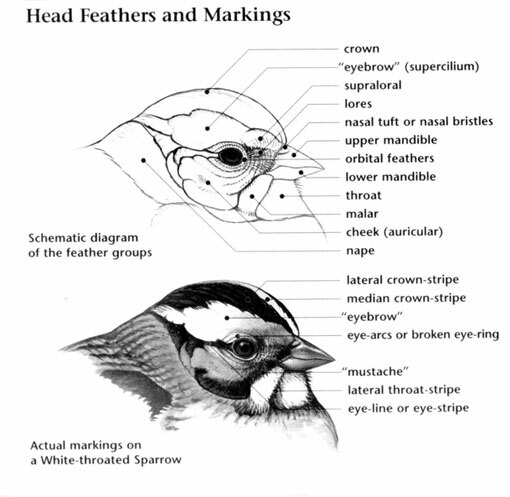 Black-throated Sparrow: Medium-sized sparrow with gray-brown upperparts, unstreaked, white underparts, and a black bib. Head has dark gray cap and sharply contrasting white eyebrow and cheek stripe. Long, round-tipped tail is edged with white. Sexes are similar. Juvenile has streaked upper breast and lacks black bib. Black-throated Sparrow: Two to four white or light blue eggs are laid in a loosely built nest made of bark strips, grass, and stems, lined with wool, hair, or feathers, and built in a thorny bush. Incubation ranges from 12 to 15 days and is carried out by the female. Black-throated Sparrow: Feeds on seeds during winter and insects during breeding season. Also consumes grass and herbs. Gravel is sometimes ingested to aid in digestion; forages on the ground. 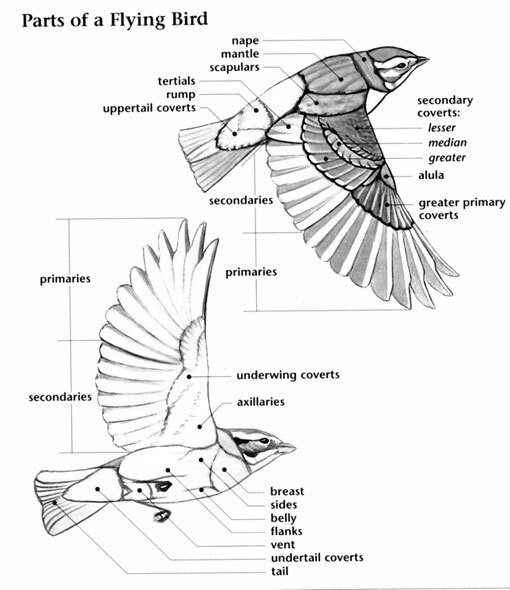 Black-throated Sparrow: Song is comprised of two clear notes followed by a buzzing trill. 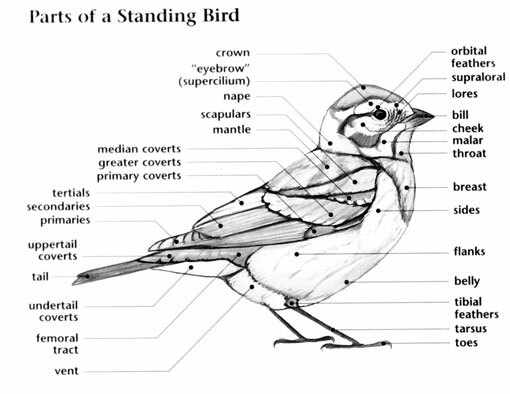 Black-throated Sparrow: Sage and Five-striped sparrows have white throats.